What a terrific day we all had at Hole Park for the En Plein Air Kent event organised brilliantly by Joanne Weaver - and the weather was just gorgeous. 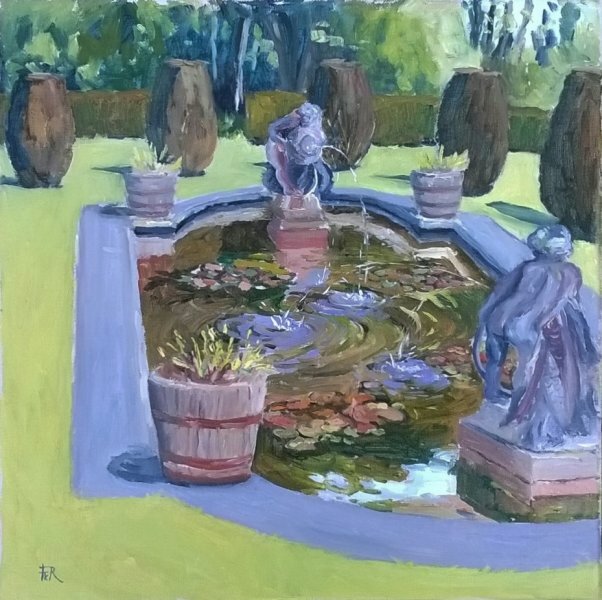 After arriving I did a quick walk around and in the end decided to paint the pool fountains in front of the house. Some really wonderful pieces of art were created in aid of Pilgrims Hospice (20% of the sale proceeds from this piece will be donated to the charity). Size: 30 x 30 cms.